Simplilearn’s Hadoop Administration training in Austin makes you industry ready in the field of Big Data Analytics by dealing with the necessary aptitudes and methodologies. The course focuses on the versatile, adaptable frameworks based on the Apache Hadoop ecosystem along with Hadoop installation and configuration. It further explores the cluster management with Flume, Impala, Sqoop, Hive, and Pig; and implementations of Big Data that have an excellent scale, speed, and security. 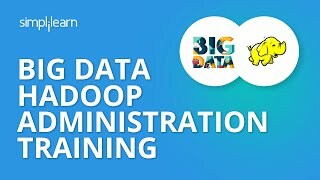 Why Learn Big Data Hadoop Administration? 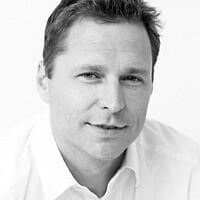 The world is experiencing a digital transformation, and it indicates that the field of Big Data and Data Analytics would remain in a boom in the future. Big data and analytics is evolving and it has the potential to meet your career expectations by offering you great job opportunities. Professionals working in this field have attractive salary prospects, with the average salary for data scientists being $116,000. Even the beginners in this field get high salaries, the average salary package being $92,000 per year. What skills you learn with Hadoop Administrator Certification Training Course? The Big Data and Hadoop Administrator course in Austin is designed for you to master the basic and advanced concepts of Big Data. You can explore all the technologies related to the Hadoop stack and components of the Hadoop Ecosystem. Who should take Big Data Hadoop Administrator Certification Training Course in Austin? What Big Data Projects will you complete during the Hadoop Admin Training? Simplilearn gives the necessary assistance in setting up a virtual machine with local access. Online Self-Learning: consists of pre-recorded videos to be followed at a convenient pace. Yes, the candidate is allowed to cancel his enrollment if necessary. The course price is returned after the deduction of the administration fee. For further details, our Refund Policy can be checked. An automatically generated receipt will be given to the candidate via email. Simplilearn has specific criteria for selecting the trainers who possess higher alumni rating. We ensure that the trainers are not only Big Data Hadoop certified, but also have 10+ years of teaching experience in the field of Hadoop Administration. Simplilearn appoints mentors after thorough profile screening and technical assessment along with a training demonstration. Simplilearn provides Flexi-pass which comes with the benefit of both self-paced and online classroom training. Using the Flexi-pass for Big Data and Hadoop Administration training in Austin, candidates can attend 15 instructor-led sessions for a span of 90 days. The sessions are moderated by mentors who are domain experts with relevant industry experience.